Owner: "This is unfortunately a dying breed"
ALEXANDRIA, Ky. -- A favorite hometown supermarket is saying ‘goodbye’ to customers after more than 41 years in business, acknowledging that times are changing for independently-run grocery stores. For four decades, customers stopped by the County Market in Alexandria for fresh meats and glazed donuts. But on Sunday, County Market announced the store would be closing on its Facebook page. Owner Dave Kremer said the closure is not about losing profit. The business had a bright past, but Kremer said he doesn’t see a bright future down the road. “The way the business environment has changed over the years, and the supermarket industry in particular, it’s time for us to move on,” Kremer said. Kremer said stores like Kroger and Walmart have the resources to merge and invent new technology to appeal to new customers. Amazon’s dive into the grocery industry only put the need for change on the fast-track. Victor Dawn owns two independent grocery stores in Northern Kentucky, the California Marketplace and Riverside Marketplace. Dawn said he’s watched dozens of friends go out of business over the years. "It's just really sad to watch people lose their livelihood,” Dawn said. “Thriftways have left so the independents are about gone. I think I'm the very last one in Northern Kentucky." Kremer calls the decision to close the market bittersweet. “We had a great run. It’s been wonderful, but times change. Everybody needs a change and it’s time for our time to change,” Kremer said. A closing date has not been set for County Market, but Kremer expects the store to close in September. 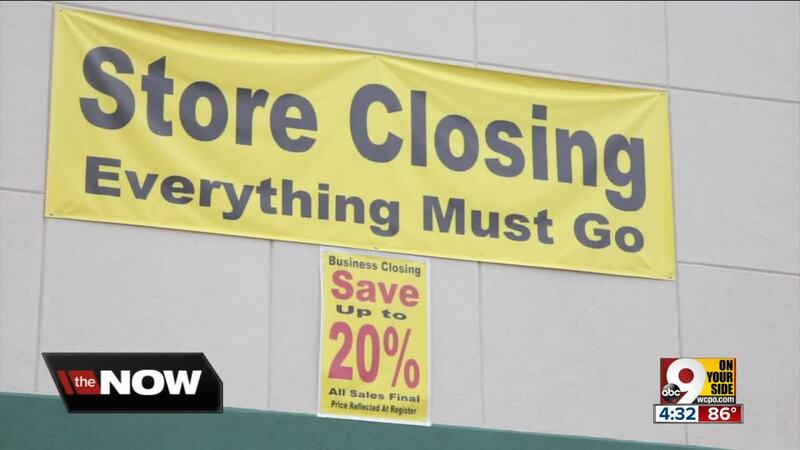 Until then, there are storewide sales in order to sell all of the store’s current inventory.